There was general improvement in provincial and local government performance, with citizens reporting less corruption in health care and education, greater satisfaction with most basic public services, and more interactions with local officials, according to 2018 PAPI Report. 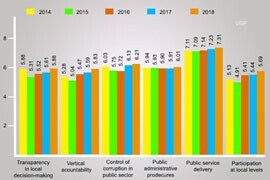 The 2018 Provincial Governance and Public Administration Performance Index (PAPI) Report, released on April 2, shows that governance and public administration performance in 2018 improved across a wide range of aspects. The most significant increases were seen in the areas of Participation at Local Levels, Transparency, and Vertical Accountability. Meanwhile, there was steady progress in other three core dimensions of Control of Corruption in public sector, Public Administrative procedures, and public service delivery, according to the Report. 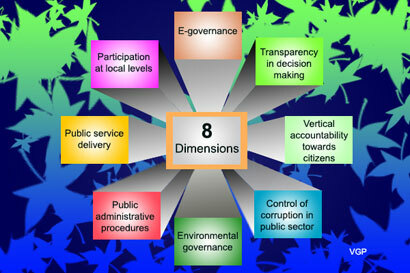 In 2018, the two new dimensions were added in order to understand public attitudes and establish baselines for performance in the emerging areas of environmental governance and electronic governance. The PAPI is a policy monitoring tool that assesses citizen experiences and satisfaction with governance performance at the national and sub-national levels in governance, public administration and public service delivery. First launched in 2009, the PAPI survey has been annually implemented nationwide since 2011. For the 2018 PAPI, 14,304 randomly selected citizens were surveyed. PAPI is a collaboration between the Center for Community Support and Development Studies (CECODES), the Center for Research and Training of Viet Nam Fatherland Front (VFF-CRT), the Real-Time Analytics and the United Nations Development Program (UNDP).